I’ve played the guitar off and on since I was about 15 years old. I’ve taken lessons, gone through phases of practicing a lot, gone through phases of not playing at all. I’ve been passably good at times (though I’m very rusty now! ), but always found the guitar very challenging in some of the technical aspects. For example, I’ve always had trouble with barre chords. People say, “Oh, you just need to keep practicing”, but I’ve come to believe that my fingers are constructed in such a way that barre chords will remain a challenge. What does this all have to do with ukuleles (the subject of this post)? Well, on a uke I can play barre chords easily! This immediately made this small instrument appealing to me when I first took it up about 3 years ago. As you’ve probably heard or read, the ukulele has been making a big comeback lately, after being relegated to the dustbin of history since 1969 or so (we’re not talking about Tiny Tim in this post on purpose). There are ukulele clubs, conferences, and meetings (The Corktown Ukulele Jam in Toronto is one I go to occasionally), it’s featured in many commercials and even Eddie Vedder has released a uke album. There’s an excellent documentary called Mighty Uke that sums it all up nicely (a bunch of excerpts and outtakes from the film are on YouTube). The ukulele is a very friendly instrument, able to be learned and enjoyed on a simple level, yet also capable of being a very complex instrument, when one gets deeper into the possibilities, styles and traditions. For example, Jake Shimabakuro’s version of “While My Guitar Gently Weeps” is amazingly complex, and the uke can sound fairly exotic as well, as this duet version of Led Zeppelin’s “Kashmir” by James Hill and Ukulele Bartt proves. 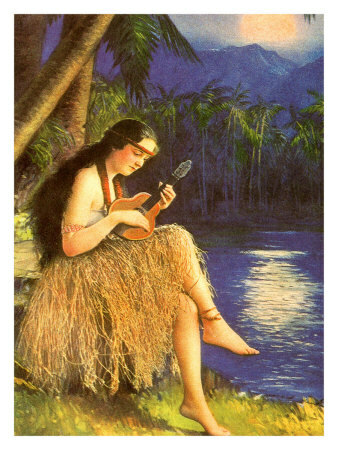 On the other hand, Israel “Iz” Kamakawiwo’ole’s famous version of “Somewhere Over The Rainbow” shows how the uke can be beautiful in it’s simplicity as well. (Iz had a very interesting life: 10,000 people attended his 1997 funeral in Hawaii). The uke can be serious and dark (don’t let people fool you when they say it’s always a happy instrument), which is the speciality of Taimane Gardner. But wait, there’s still more! There are fascinating examples of creativity in uke construction. 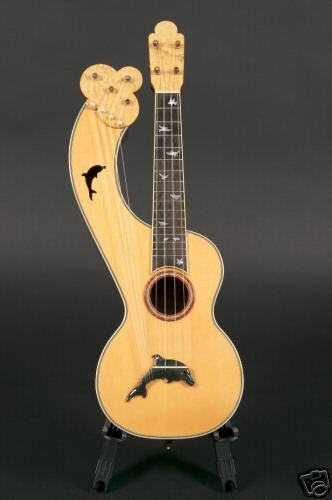 There’s a whole history of fish-shaped ukuleles (why, I don’t know, but I’d love to have one), as well as banjolele’s, steel body ukes, etc. They come in 4 different sizes, with Soprano being the most common, but the Tenor, Concert and Baritone sizes are larger and, hence, produce a more full, deep sound. Another thing I like a lot about the instrument is it’s portability – you can just pick it up and play, carry it around, etc. Unlike a guitar, which is more unwieldy and usually requires a bit more space and preperation. Great post, Rob! I’ve dabbled very lightly with the guitar and find that it’s just not for me. Among other things, I too find barre chords a challenge and besides, I just like to strum. Maybe I’ll have to give the ukulele a try. And I like how the crow caws as if on cue.